Sotheby’s Magnificent Jewels collection is always a dazzling sight to behold of some of the world’s most stunning gemstones and jewelry. I had the unique opportunity of checking out the current Sotheby’s Magnificent Jewels collection in New York, which is set for auction this Tuesday, April 19. The rare Shirley Temple Blue Diamond leads the current grouping of glorious gems and jewels. 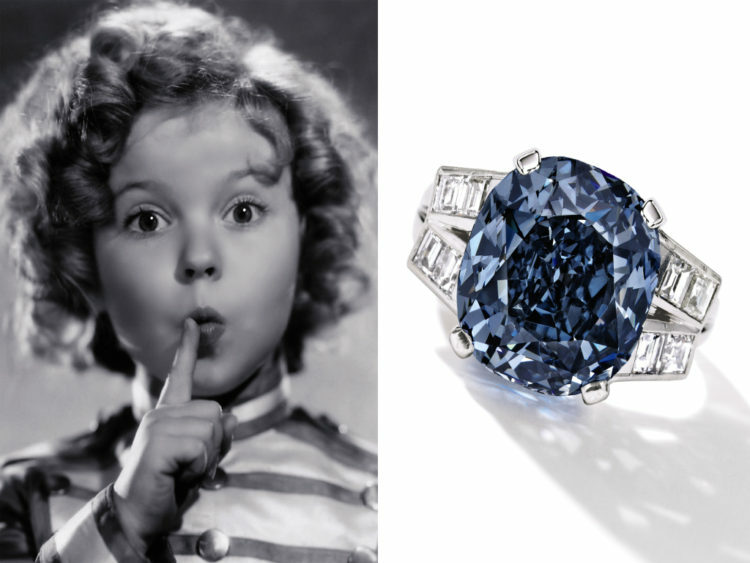 Shirley’s father, George Temple, first purchased the fancy blue 9.54 carat-cushion cut diamond ring in 1940 as a gift to commemorate his daughter’s 12th birthday and starring role in the film “The Blue Bird,” where Temple plays a young girl who is sent by a fairy to find the bluebird of happiness along with her brother. At the time, Mr. Temple paid a mere $7,210 for the stone, which is now valued by Sotheby’s New York to achieve a sale between $25 million and $35 million at auction. Meanwhile, the 15.38-carat “Unique Pink” diamond stands out from the crowd as the largest fancy vivid pear-shaped pink diamond ever to appear at auction. Sotheby’s expects this stunner to fetch between $28 million and $38 million. Some of the other exquisite jewels up for auction include colored stones by the famed Philadelphia jeweler J.E. Caldwell, historical Tiffany & Co. designs and Deco dazzlers. To browse all lots from the Sotheby’s 2016 Magnificent Jewels, please click here. One Dozen White Summer Dresses!